In today’s world, we are constantly offered a choice of products: From the 27 different kinds of jam in the supermarket to the thousands of cars on the market. 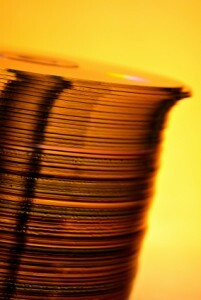 And it is no less true that there are many CD and DVD duplication companies to choose from. So, how can you choose one that is right for you? Well, to begin with, make sure you know what your needs are: Do you need duplication or replication? Do you need CDs or DVDs? How many discs will you require? Do you want artwork? What kind of casing and packaging do you want? All these are very important things to take into consideration alongside how high you want the quality to be and whether or not you are willing to compromise on this to get a lower price. It is important to know exactly what you want before you look at which companies to use. Next, do the obvious: Shop around. Make sure you are getting the best price for your needs! Companies are constantly giving promotions and keeping their prices competitive so that you can get the best deal possible. Within this it is also important to only look at companies which will offer you what you need: It will save you a lot of time and effort if you stick to the guidelines you initially set yourself. Once you have found a price you are happy with, it generally a good idea to request for a sample of the company’s previous work to ensure that you are content with the product they are going to be offering you: Is the quality to price ratio fair? It is also a good idea to discuss deadlines and shipping with someone at the company, to make sure they can deliver your discs when and where you need them. If you are happy with this, then you have basically found your duplication or replication company, and all that remains for you is to place your order and wait for the discs to start arriving! How important is it to have a good quality disc? It is all very well distributing a demo CD for your band or a DVD advertisement for your company, but if it isn’t high quality it was not get played, will not get looked at, or may not work at all! It is therefore very important that you ensure you get a high quality disc when you duplicate or replicate. The shallow truth of the world is that first impressions are very important and you nearly always see a CD or DVD before playing or watching it. It is therefore highly important that your disc makes a positive first impression on the consumer: It should have an attractive cover and, if possible, on-body disc printing, so that the person receiving it is inclined to find out more about the disc and thus about the services you are offering! However, it is also good to make sure that the cover and printing on the disc are of high quality: It does not do to have poorly printed images lining your product as it will then look half-hearted and messy – not the impression you want to be giving off! Aside from this, you want to make sure that disc itself is of a high quality. If the each disc you distribute is not properly checked for glitches, scratches or general levels of low-quality, it may not even work when the consumer tries to play it. This reflects very poorly upon the person or company who is distributing it and could put the consumer off entirely. It is quite difficult to achieve this level of quality at home: The equipment to do it is very expensive and it is also very time consuming. It is therefore generally advisable to get a duplication or replication company to do it for you, as they will produce a high quality product which will give a good first impression and be pretty much guaranteed to play well. Aside from getting a better finish, you will also save yourself time, attract more customers and not have to spend lots of money on machinery – all this saving you a lot of money in the long run! So, as you can see, DVD and CD quality is very important to, not only creating a good impression, but also for simply getting the disc itself to work. It even saves you time that you can spend doing something else! Posted in Helping You Decide | Comments Off on How important is it to have a good quality disc? 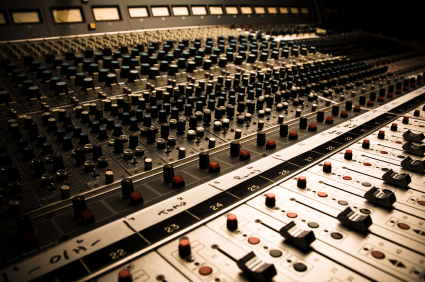 CD mastering is the process of taking a song or audio file, editing out the bad bits and increasing the quality of the good bits! It is generally done by professional editors as it is a very complicated and technically advanced process involving editing each individual layer of the song. Mastering a CD can make a good song into a great one, giving you a final master CD that is ready to be sent off for duplication! Assembly Editing – This is the stage at which the layers of the track are aligned with one another. The technician will place proper spacing between the cuts and ensure that the song plays through with perfect timing. The places where you tend to get most noises, pops and clicks, the beginning and end of each cut, are generally faded so that the flaws cannot be heard, and any other unintentional sounds are also removed. The different layers can also be cross-faded, to create a marvelous disc ready for printing. Sweetening – In this stage, the layers of the track are enhanced with special effects. You can apply echo, reverb, and many other effects to the song to make it sound just that bit better. This improving of sound, making the song sound more perfect than perhaps it really was, is known as ‘sweetening’. Many famous pop artists have been criticised for the degree to which the ‘sweeten’ their songs until their voices don’t actually sound like their real voices, but generally technicians only sweeten to a sensible level. 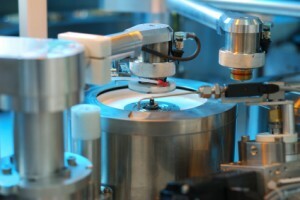 Output – Depending here on whether you are duplicating or replicating, this final process involves two different things. 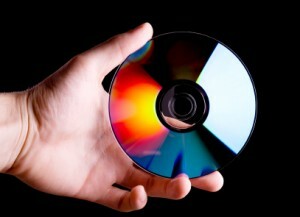 If duplicating, the technician produces a final CD-ROM copy of the disc which can then be played on a normal CD player. However, if replicating, a glass master disc must be created, which can be used on the replication machines almost as a stencil for further copies. The final mastered version of the song if usually ‘auditioned’ for the client to ensure they approve of the sound created. Because of the high levels of technical knowledge involved in mastering a CD, it is generally advisable to get a professional company to do it for you. However, many disc duplication companies provide mastering as a part of their service, so you can master and duplicate all at the same time! Home CD and DVD Burners – what has been their effect? Get creative - burn your own CD! Since the advent in the early noughties of the home CD Burner, their progress in technological importance has been astounding: From starting out as a simple replacement for floppy discs, being used mainly in the workplace to store data, they have become an intrinsic part of our technological lives. It used to be that they were a luxury for office men with a lot of money to spend on their computer to a regular feature in our laptops, desktops and even our CD players themselves! In fact, it would be very rare to find a computer which didn’t have a CD burning drive at all! But what has the consequence been on, firstly commerce, and secondly, our own creativity? In terms of business, the main issue that has arisen with the advent of the CD burner is that of copyright: We started out simply making each other mix-CDs but people quickly cottoned onto the fact that music could be illegally ripped and burnt from existing CDs and so started to share music this way! The music business has met the trend with full on force and often law suites are now heard of where people are sued enormous sums of money for illegally copying music. Even the film business is feeling the effect of home disc burners as, with the wider distribution of DVD burners, films are also being illegally copied and shared. However, the legal CD survives, first through a sense of honour and second because you will never get the same finish on a disc as you would with a professionally produced copy. The artwork and packaging can never have the same high quality finish as they do when you buy a professionally produced disc rather than using your home CD burner. However, in this instance the pros far outweigh the cons of home CD burning: To start, CDs are just better than floppy discs for sharing information. 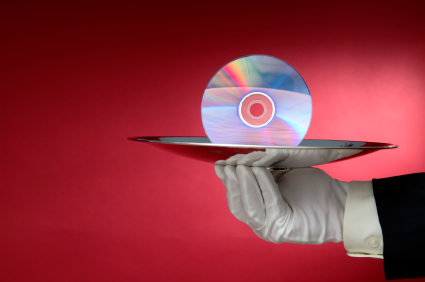 CDs are more reliable, store more data and are slimmer. Aside from this, they have expanded creative opportunity for artists world-wide: You can now record and burn your own album at home or produce an amateur film! The opportunities presented to us on a musical and film-making front are now almost limitless! And we can create personal gifts with mix-CDs. I even know someone who keeps a diary through burning a CD each month of the music they were listening to to sum up the mood! But don’t forget that sometimes in all this creativity that if you want many copies of a disc it is still often more economically viable to get someone to professionally burn your discs in bulk for you. And you will be guaranteed to get a professional finish which would be nearly impossible to create in your own home without great personal expense! Posted in History | Comments Off on Home CD and DVD Burners – what has been their effect? Caring for your DVDs is easy - when you know how! 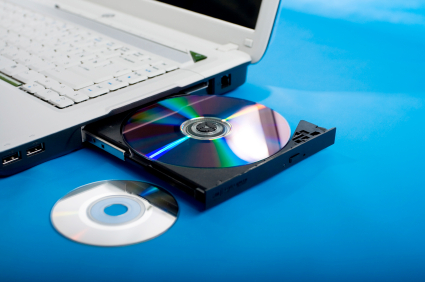 DVDs are becoming common everyday objects in this growing world of technology. VHS is a thing of the past but, though by far superior, the DVD replacement is not a problem-free solution. DVDs, like everything else, degrade over time – but there are things you can do to help keep the quality of your DVD. Though some of these tips may seem obvious and simple, they will really assist in helping you keep a quality DVD. To start with, just always put the disc back in the case! It’s that simple! And, if the case has a central pop-button to release the disc without scratching it, make sure you use it. And when it is out of the case, make sure it is always held by the edge and the middle hole and try and avoid touching the shiny side. Similarly, avoid placing the disc face-down on any hard surface – this will lower the quality of your DVD significantly through scratching! The same rule applies to stacking DVDs out of their case – just don’t do it! It’s asking for scratches! Store DVDs out of the sun and away from heat if you can – both of these things can damage the delicate layer of chemicals which helps make up the data on the disc. Also, avoid bending the DVD because, like heat, it can make the disc warp and become more susceptible to snapping. Not only this, but the layers that make up the DVD can begin to peel apart from each other, rendering the disc useless as it cannot be read once DVD quality is lost. This problem of the DVD peeling apart or bubbling can in rare cases also be a manufacturing fault – buying discs from a reputable source helps to limit this possibility in the first place. When it comes to cleaning, it is important to keep a quality DVD by using a special cleaning cloth to wipe them gently. Wipe it from the middle to the outer edge in one smooth stroke, slowly working your way around the disc, and your disc will last much longer than if you just wipe it down your t-shirt to get it quickly clean. You could also use compressed air to keep you disc clean. Good luck keeping your DVD in good quality and I hope these tips help to keep your discs shiny and functional! DVDs are a great way to advertise! Advertising your company, whether because its new or whether because it simply needs a new lease of life, can pose a tricky dilemma: How do you make advertising campaigns interesting for the consumer? Most companies advertise through the internet, newspaper and on television, but very rarely think to advertise through DVDs. However this can be an incredibly effective way to get your business noticed: Everybody knows of the highly successful AOL adverts where a demo-disc and information leaflet on their product are posted through your door! Far from only advertising demos of software, however, DVD advertising can be a way to talk to your customers about what your company has to offer through a short film advertisement. It is often much cheaper to distribute your film this way rather than on television and it also allows for the advert to be much longer at no extra cost to you! Many companies are put off DVD advertising because of the thought of having to distribute it, but companies can be hired to do the distribution for you at a relatively low cost, even some of the DVD duplication companies themselves! There are many pluses to DVD advertising: For a start, customers will be very impressed with a good quality DVD being personally given to them than they would be a television advert. It shows a consideration for the individual and, if the disc is high quality, reflects the best in your business. It is a personal, attractive first impression to give the consumer. However this impression of quality is only heightened by the quality of the DVD itself. It is therefore advisable to use a professional company who will produce your DVD at the highest quality possible. It is also a good idea to use professional companies as, in many cases, they can offer advice on, if not help in, the process of editing your film to its highest standard. Aside from this, they will also provide a quick and reliable service, giving each disc the necessary quality checks which you yourself may not have the machinery to be able to do. DVD advertising is an often over-looked form of communication with the public, adding a rare personal touch and providing a good first impression through a high quality disc. It is also often much more financially viable than advertisement on the television, and can also be referred back to by the consumer if they are having trouble making up their minds. You are currently browsing the Duplication Centre Resource Centre blog archives for March, 2010. Duplication Centre Resource Centre is proudly powered by WordPress | Entries (RSS) | Comments (RSS) | 27 queries. 0.025 seconds.